Think its impossible to make bags, floor mats, hats, toys and basically anything else knitted or crocheted out of t-shirts??? Well its not!! You just have to know how to make the yarn first, and that’s what I am going to teach you today! 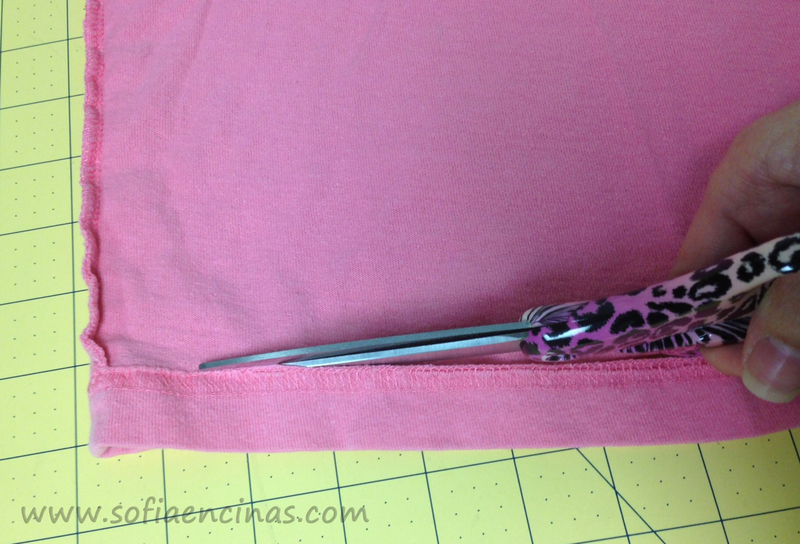 I use t-shirts in most of my products that I sell. Everyone has tons of t-shirts in their closets and we all just keep accumulating more. 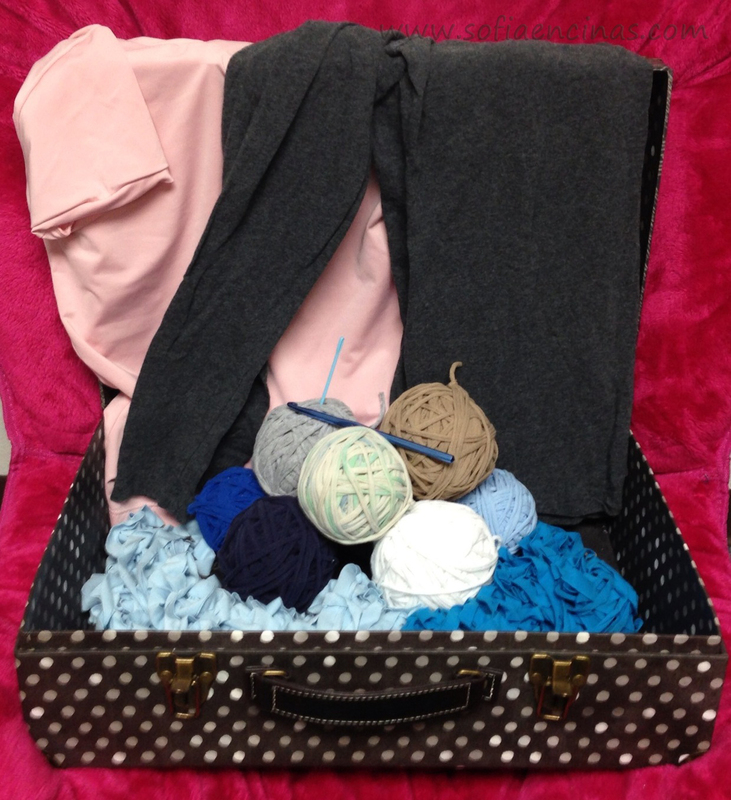 I have used t-shirts to make bags, rugs, amigurumis, tablecloths, hats and many other things. To see a few of my products please go to the Sofia Encinas Design store. 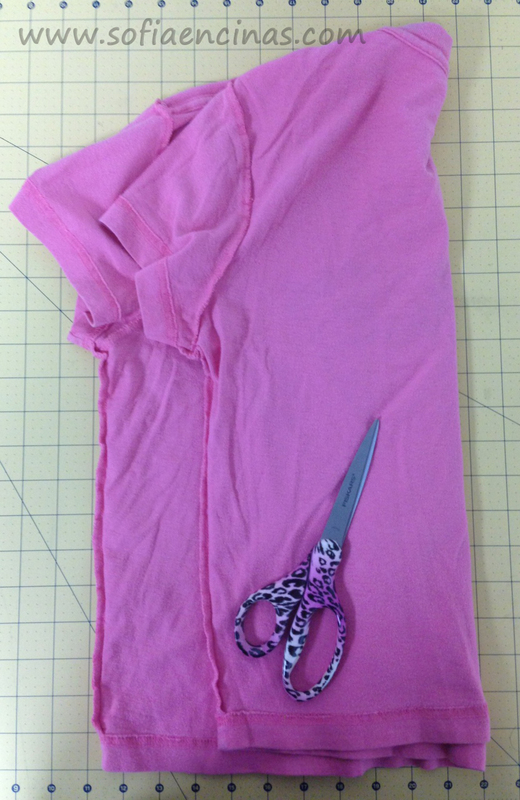 The whole t-shirt is cut into strips. 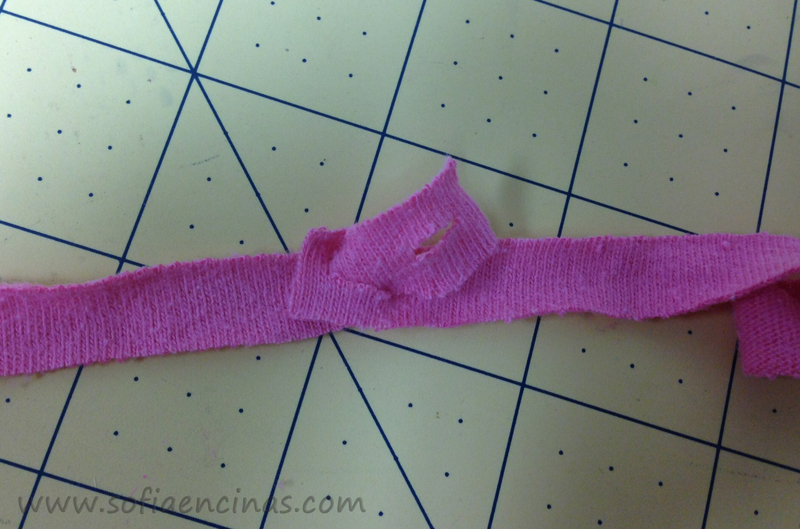 I cut them into 1cm wide strips, but you can make them bigger or small depending on your project or preference. 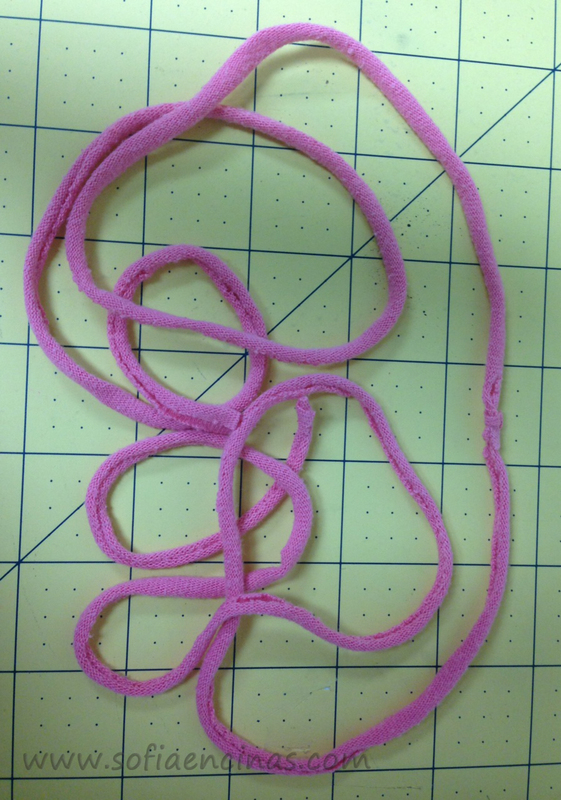 Just be aware that if you make them too wide they can be hard to connect together, but if you make them too thin they could fall apart. Between 1-2cm works best. 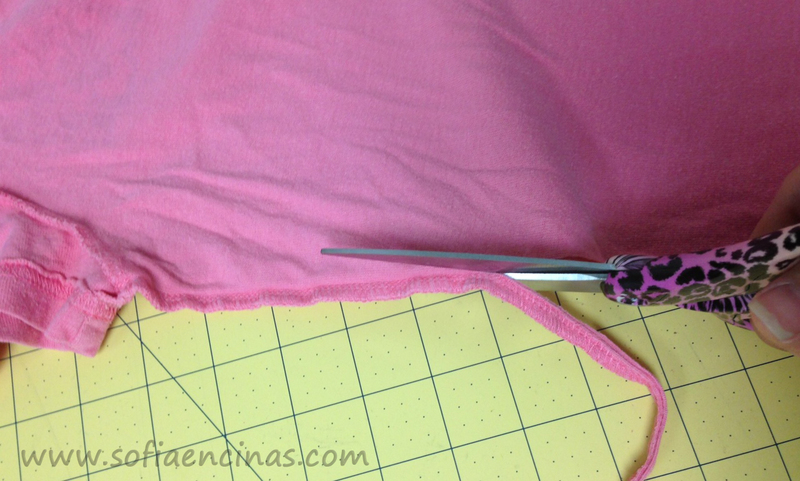 When the entire t-shirt is cut into strips, its time to start connecting the pieces! 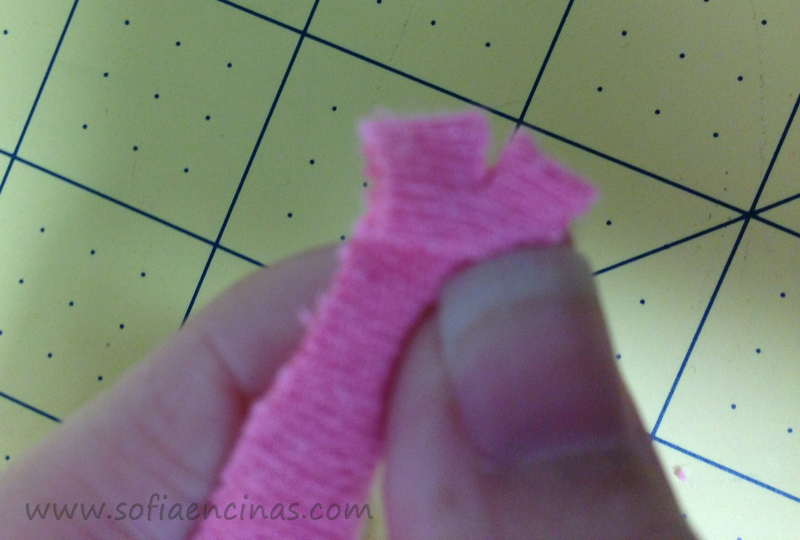 At the end of each strip, you will fold the end upon itself and cut a small snip about a half a centimeter long. 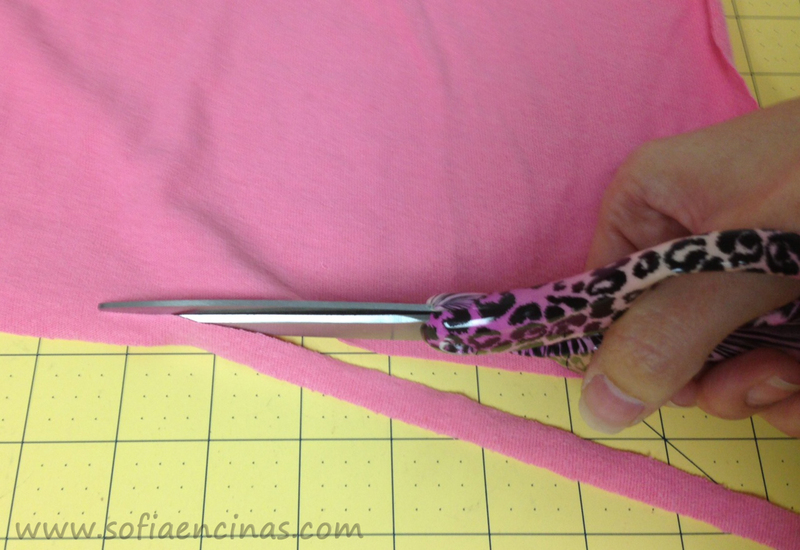 The cut should be in the middle of the width of the strip, and make sure that it is not too close to the end of each side. Please refer to the picture below. This is how each piece should look when you have them all done. 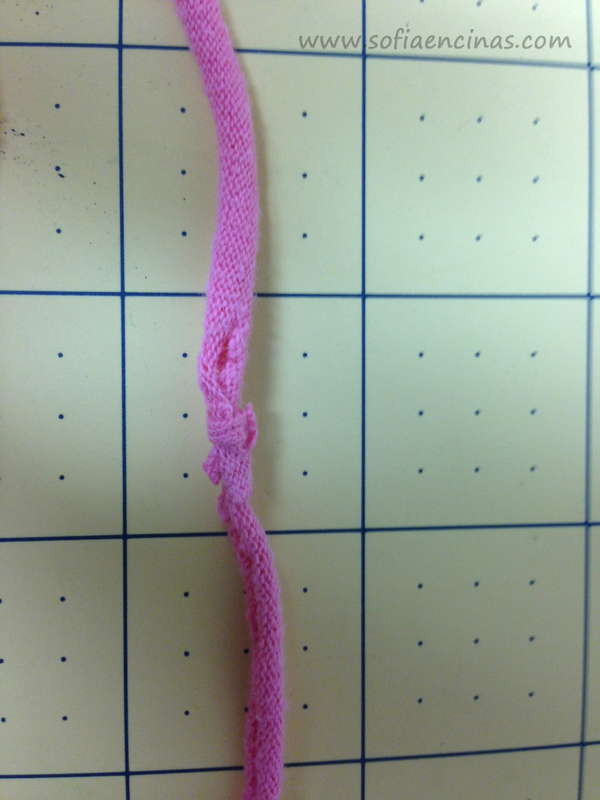 Next, one end is inserted inside the other end. Keep track of which one you inserted for the next step. This next step is a little bit more complicated. 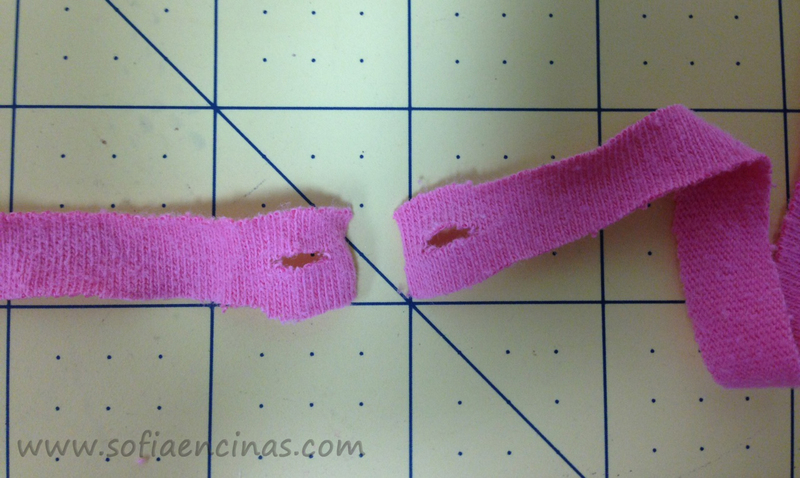 Once you have inserted one end through the little slit, you are going to put the other end of the strip inserted, into the open slit visible. Pull the two strips tight and the joint will become almost invisible. 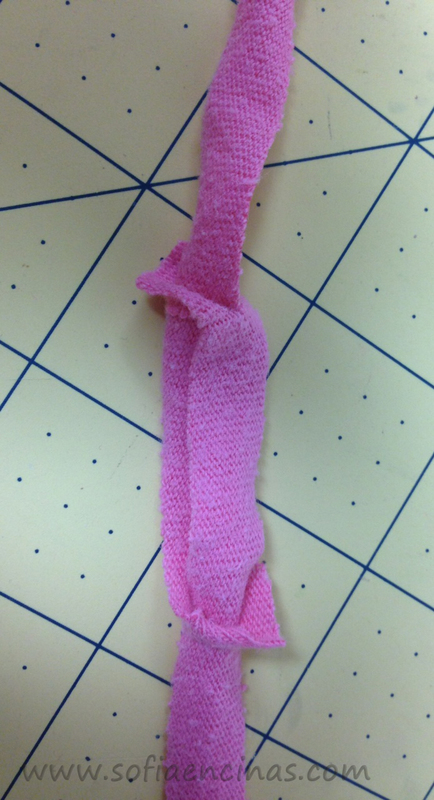 Also, in pulling the strips taunt and stretching the fabric it will start to curl making it more yarn like. This is how the whole thing should look when you are done! Ready to be woven into any creative project!! Please feel free to share suggestions, thoughts, comments or questions in the comments below! I would love to hear from you! This entry was posted in DIY, Recycling, Upcycling. ← Why Recycling Is Important!